Japan continued its dominance with a total of 20 institution and The University of Tokyo top in the list. 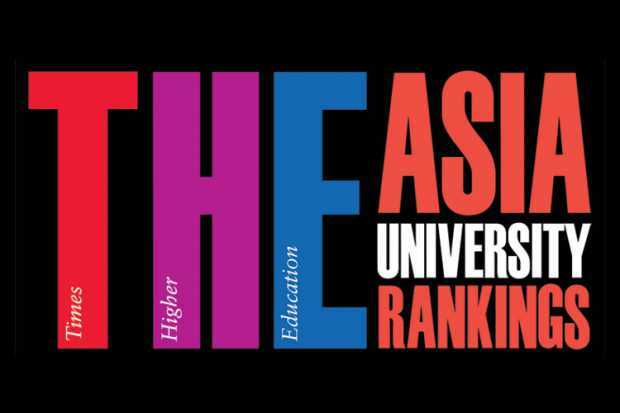 China improving its presence in the rankings with a total of 18 institutions in the top 100, according to The Times Higher Education (THE). Perhaps the brightest star of the 2014 Asia University Rankings is India. Last year it had just three institutions in the top 100, but in 2014 rankings released on 19th June 2014 by THE, the country now boasts 10 institutions in the table. South Korea, a country touted having the second best education system in the world has 14 institutions in the top 100 list. For ASEAN region, only 2 countries represented in the top 100 list namely the mighty Singapore with 2 institutions and the land of freedom, Thailand with also 2 institutions. Are Asia universities provide a viable further education alternative compared with Western universities? The decision to study in Asia may be a wise one, as the continent is poised to dominate the 21st century. Asia's economic, political and multi-cultural importance is growing at a fast and never-before seen rate. In addition to economic and population booms, many Asian countries are also undergoing rapid growth in their higher education sectors, meaning ever more attractive options for prospective students. From established powerhouses like Japan and Hong Kong to the newly formed university hubs of the ASEAN region and, of course, the ever-increasing might of China, the continent offers a wealth of options to the student looking to get a head start in an international career. Having studied abroad in Asia is a valuable asset on your resume when competing for job. Many fortune 500 companies are expanding to Asia in particular in China and need employees with experience of Asian cultures, language and business methods. In China, Beijing has recorded a total of 48 headquarters of companies on the Fortune's Global 500 list in 2013, overtaking Tokyo for No 1 for the first time in the ranking of city with the most profitable companies in the world. As such, students with the first hand knowledge on Asia have an edge and advantage when applying job. If you are looking for the top universities in Asia for further education, below is the list of university in Top 100 rankings for 2014.